CHICAGO – On Monday afternoon, the conference room at the Palmer House Hilton was abuzz. Under the ornate ceiling décor were busy-but-excited-seeming groups of volunteers streaming in for their official check-in. The National Poetry Slam 2018 is to begin in four hours. Many of these people — they were loud, happy and welcoming each other with hugs — were meeting for the first time. Already, the group was making the Palmer House Hilton their home. The hotel in Chicago’s Loop district is playing host to the five-day poetry festival-and-competition which will end with the National Poetry Slam finals on Saturday August 18. Over heaped plates of falafel and hummus, rice and pita, the group coordinators were getting to know their volunteers, distributing name tags, and briefing them about the duties that lay ahead. Sitting to one far corner of the conference room were the Wellness Team volunteers – three of the total 40 expected to join the team through the week. This is the first time that mental and physical health is being given dedicated attention of this scale at a national poetry event. Since its early days in the late ’80s and early ’90s, slam poetry has been criticized for encouraging a certain type of poetry. The format rewards verse that is easily consumable and drawn from heart-wrenching personal stories of grief and trauma. Picked at random from the audience, judges tend to score highly poems that are powerful, moving and emotionally compelling. This, coupled with slam poetry’s being a genre heavy with stories of everyday and marginalized voices, can mean that violence, abuse, or oppression of some kind are dominant themes. Add to that the very stress of competitive events, and the need for on-site mental and physical healthcare becomes obvious. After her short-but-intense campaign in the Democratic primary to represent Illinois’ fourth Congressional District, Sol Flores returns to her roots as an affordable housing advocate. Earlier this year, Sol Flores ran an intense 112-day campaign in the Democratic primary for Illinois’s fourth Congressional District Seat. It was the same seat that Luis Gutierrez held for 13 straight terms, and the same seat political heavyweight Jesus “Chuy” Garcia also was contesting. She lost. But Flores captured the imagination of both her constituency and political commentators alike—especially due to the sort of varied experiences she brought to the campaign, ranging from her candid #MeToo childhood story, to her profile as a middle-class, single, working woman of color. “We need more women at the table,” Flores says, shaking back her tight curls. But what she shaped and informed her participation in the campaign most was her work and experience as an affordable-housing activist in Chicago. Over two days in February, about 20 people gathered to sew names of women, girls, and babies who died due to gun violence between 2016-2017. 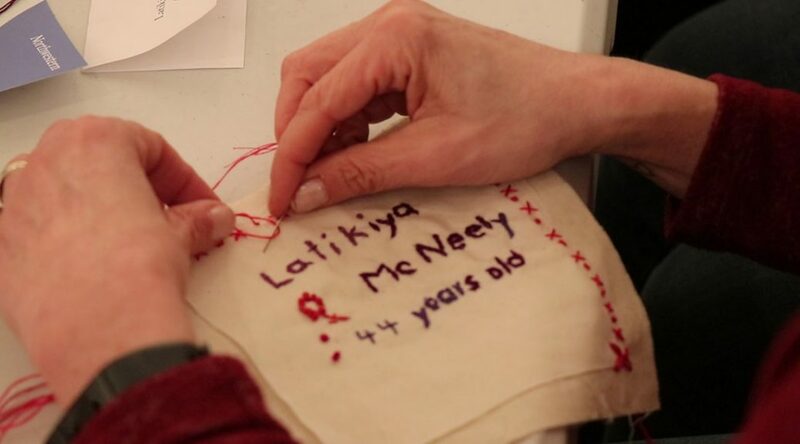 Led by Melissa Blount, an Evanston-based clinical psychologist, the attendees sewed the victim’s name and age, accompanied by a motif on each of the sewing squares. The event, held at 1100 Florence, an art gallery in Evanston, was to result in the squares making their way onto a remembrance quilt. This is the second quilt that Blount is leading, after her Black Lives Matter Witness Quilt last year, inspired by an exhibit at Northwestern’s Block Museum of Art. You’ll most likely miss it. 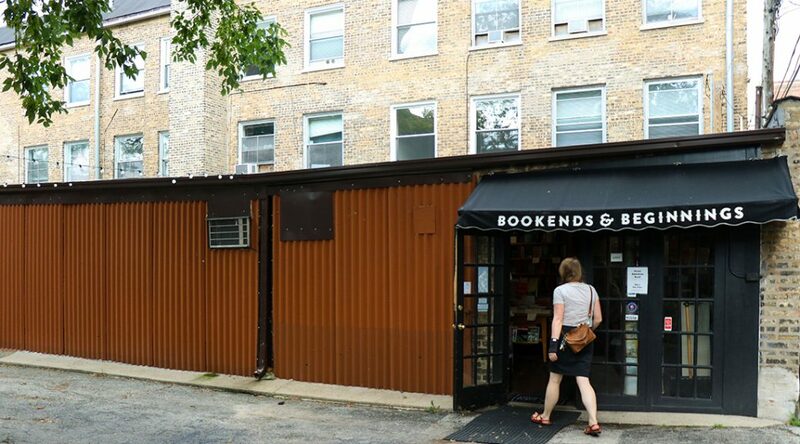 If you’re new to Evanston, you’ll wonder whether the fabled bookstore Bookends & Beginnings still exists. Because when your smartphone map announces, “you have arrived at your destination,” you’ll be looking not at books, but at the overflowing outside of a university merchandise store. Where is the bookstore? Until very recently, your concern might have been justified. Bookends & Beginnings, along with other independently owned businesses in the block, was living under a cloud of possible destruction for six months. A 37-story highrise designed by the renowned Chicago architecture and design company Skidmore, Owings & Merrill was proposed to take over the block, bringing back the Evanston-born Northlight Theater Company on two of its floors. After months of uncertainty, a final decision on scrapping this plan was announced on March 2. “We are overjoyed and I do hope that going forward this resolution allows us to develop our location without fear [of displacement],” says owner of the store Nina Barrett, referring to the plans that her store, as well as other independent businesses in the location, had in mind to refurbish the alley they’re located in.